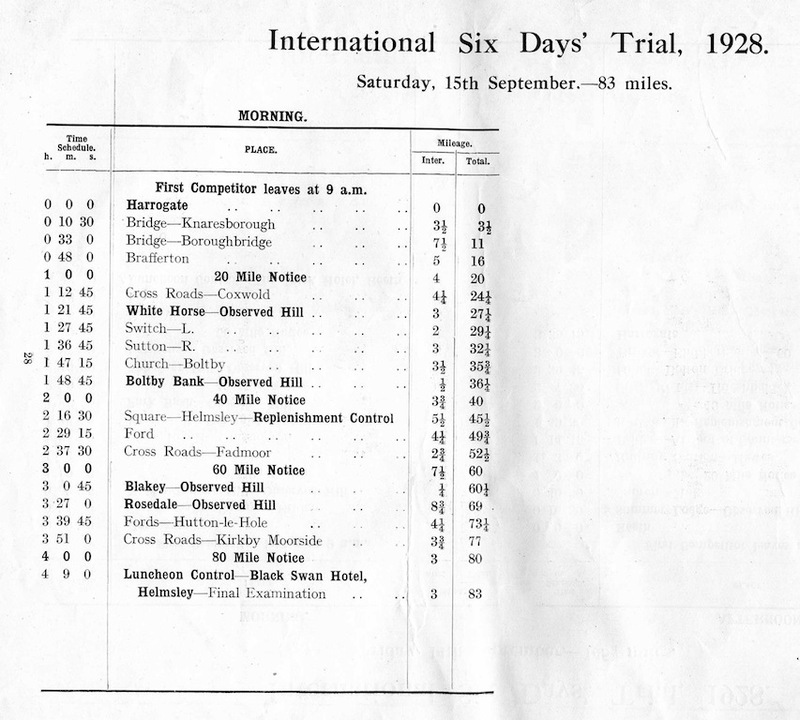 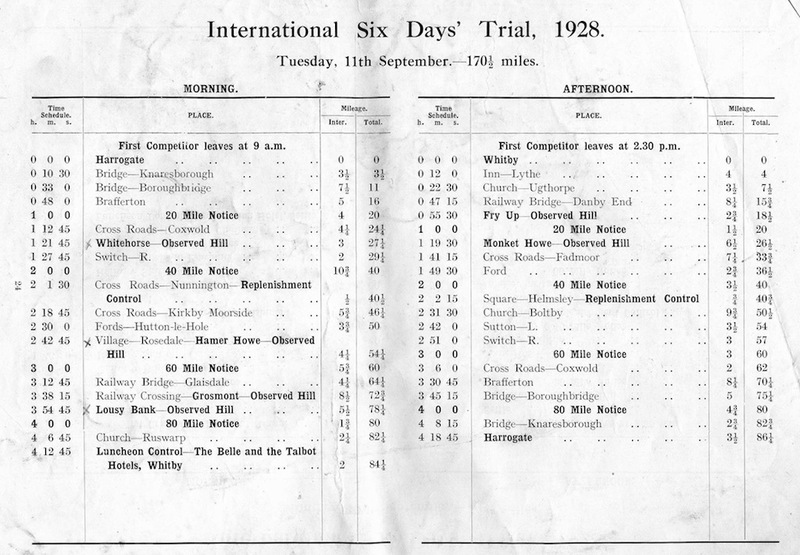 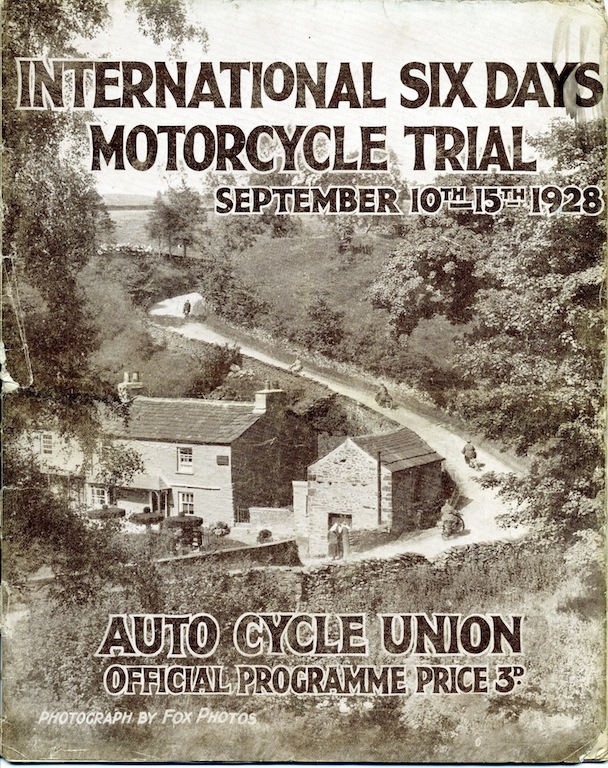 ISDT 1928: Official ACU event Programme rediscovered. 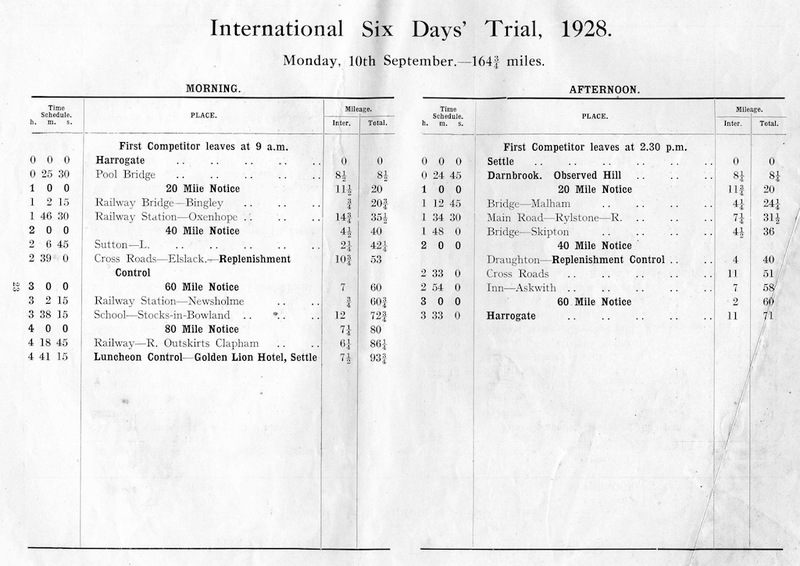 The 1928 ISDT was the last time the British event was held in England. 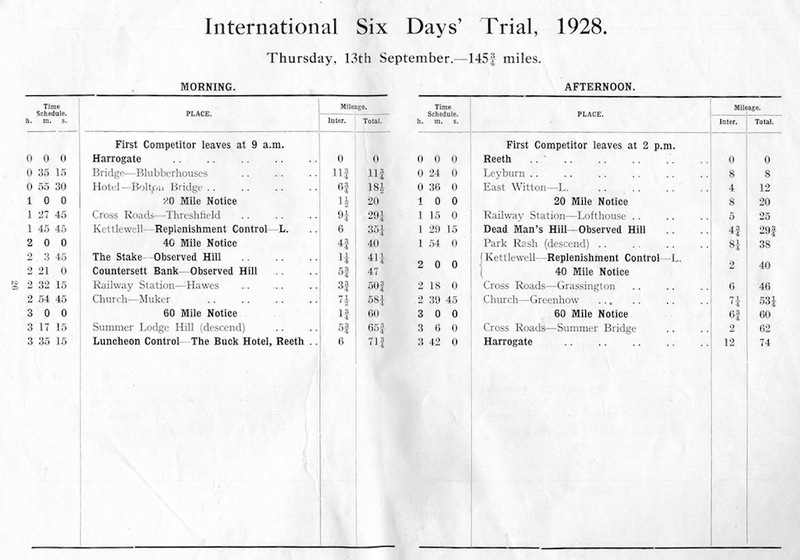 A Speedtracktales reader told us he had a copy of the programme and agreed to scan it to let us share it with those interested in the events history. 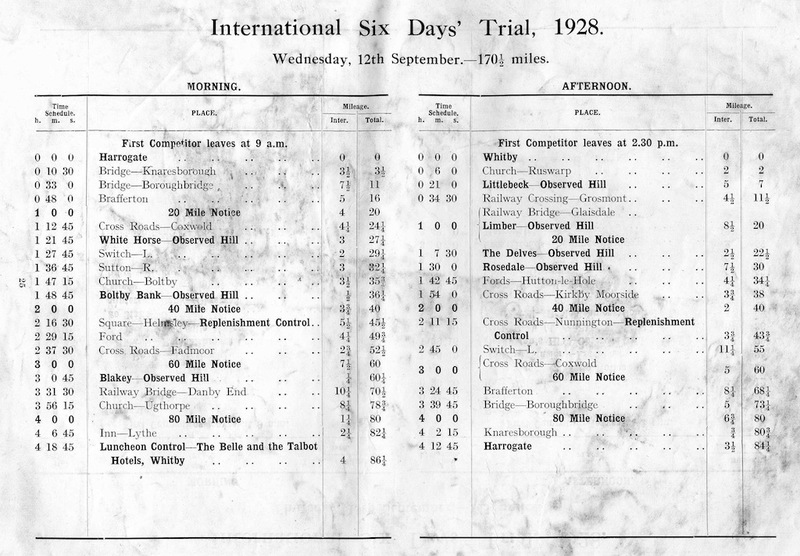 You can now read a full copy of the programme by visiting our issue.com library or reading the below embedded view which will work if you are able to access Flash. 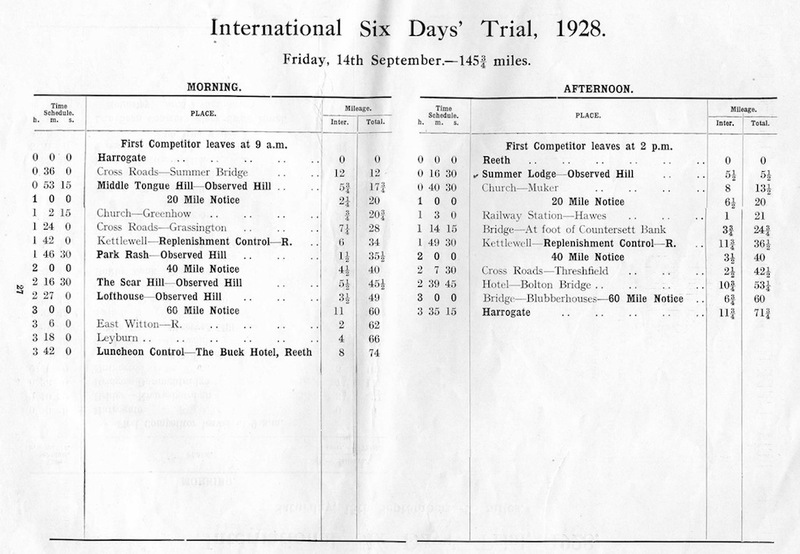 Amongst the pages with a useful map is the below description of the course for each day of the trial….